Know All About PayUmoney Webhooks Here! We have been receiving requests from many of our merchants to provide a way to update their systems whenever a payment happen. We listened to the feedback and have launched webhook feature for the same. Webhook is a HTTP callback. The callback is done to a url specified while creating a webhook. The webhook callbacks are event driven i.e. a callback to a webhook will be done whenever the event associated with the webhook occurs. 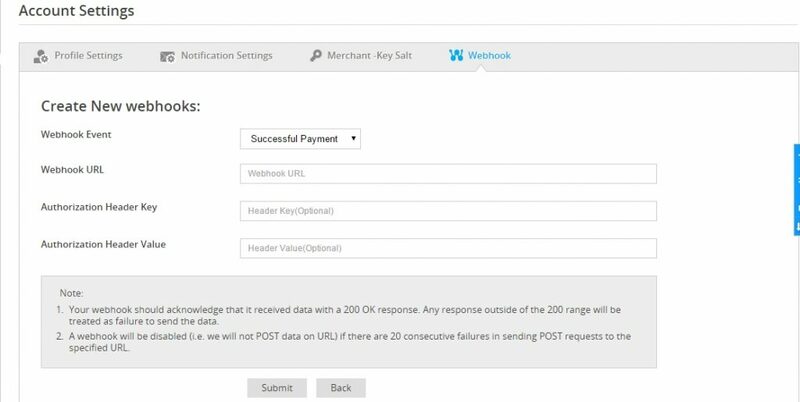 How does PayUMoney webhook work? PayUMoney will be sending the callback messages as HTTP POST Request to the url specified. So whenever a payment is success/fail for your merchant account, you can receive a callback to your server.In the callback message all the payment details are shared, so you can update your server and process the order as per your business processes. The callback request format can be viewed here – here. How do I create a webhook? To create a webhook, you will need to create a URL at your server which will be able to receive the callback message that will be sent. Upon submission, PayUMoney server will send a dummy callback message to confirm whether the url provided is able to receive POST requests or not. If your URL isn’t accepting the dummy request sent, then you will be allowed to create that webhook. If your url is able to receive the request and provides a http response code 200 OK, then the webhook will be successfully created. Once your webhook is created then from the next time whenever the webhook event will occur, a callback to your webhook url will be sent.